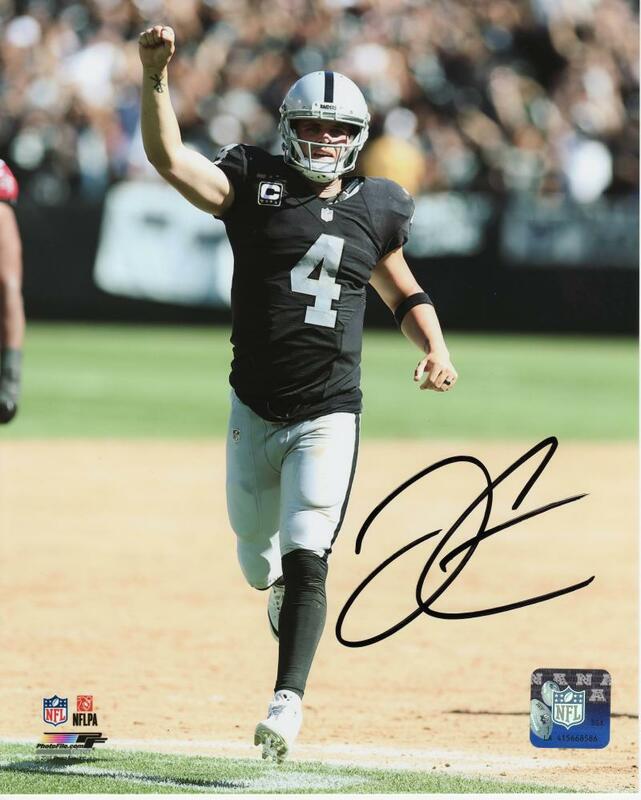 Derek Carr Autographed Photo 8x10 #331 | Sports Memorabilia! This is a great autographed photo of Derek Carr celebrating a touch down with his fist up in the air. NSD works directly with Derek Carr and this photo was autographed by Derek at one of our NSD conducted autograph sessions. 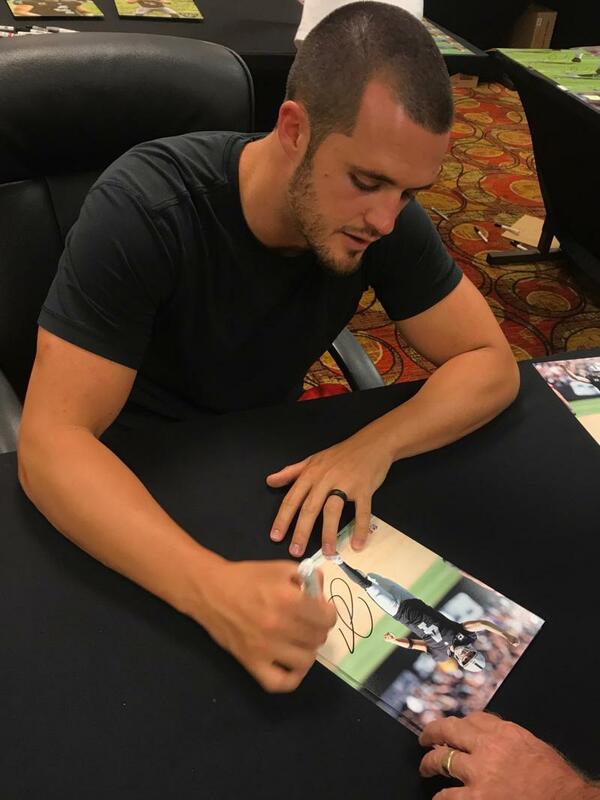 Each Derek Carr autographed photo comes with our NSD Authentication which includes a numbered holograph and matching Certificate of Authenticity. This photo is in stock and ships immediately.